I was highly anticipating the arrival of Season 4 of Netflix’s “Black Mirror”—and so was everyone. The anthology show is known for its biting dystopian visions: Each episode displays worlds in which empathy is rare, technology reigns, and the line between the human and the inhuman is all but obscured. This season, however, contained some of my least favorite episodes of the show and was overall less impressive than previous seasons. The social commentary was less sharp, multiple storylines were not particularly well conceived, and much of the technology felt flat, predictable, and overused. 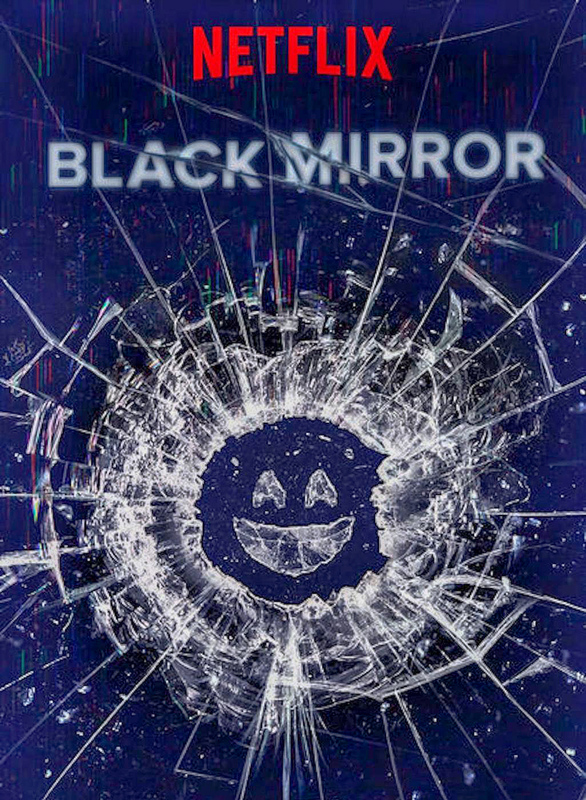 Don’t get me wrong, I’m a huge fan of “Black Mirror”—just read my review of the last season. I consider it one my favorite shows of all time: I love it for its clever depiction of the intersections of technology and ethical dilemmas, its delicate rendering of conceivable human and inhuman futures, and its uncanny ability to catch a viewer off guard. Year by year, the show sets high expectations for itself. And unfortunately, in spite of a few episodes that triumphed, those expectations were largely not met in this season. An example of this is “Arkangel,” the second episode of the season. While the concept—an overprotective mother gaining access to her child’s whereabouts and memories via a chip in her brain—is an interesting one, its plot was predictable, and its aforementioned technology was fairly banal. own, but both commented on how access to all memories can destroy relationships. As a result of my familiarity with this technology, the plot of the episode felt predictable and occasionally uninteresting. I will say that using technology to examine parent-child relationships, particularly during the seminal moments of a child’s teenage years, was an interesting choice and a successful one, and overall this episode wasn’t bad. But for “Black Mirror” standards, it wasn’t great. “Crocodile” was also not wildly impressive; the episode began in a promising way, and then lost a bit of its momentum as the story progressed. It follows an architect named Mia who, 15 years after covering up a hit and run, reckons with the effects. We watch as Mia spirals into a spree of murders in order to maintain the threads of her life: her architecture, her independence, her family. To me, the more interesting storyline was that of the insurance representative Shazia, who uses memories (yep, it’s another memory-centric episode) garnered from people who witnessed a crime to piece together the events that occurred. This aspect of the show explores very real aspects of the way memory works, like the triggers of scent and the powers of suggestion, and also imagines a world in which memories become tools and evidence for police and insurance companies. Characteristically dark, the episode also has an unlikely killer, and a cynical take on human empathy. I found it effective, but it certainly wasn’t a stunner compared with other episodes and seasons. The worst episode of the season was “Metalhead,” which by far the least developed and least interesting. It takes place in an ambiguous age and society, starring characters entirely lacking in backstory and a situation utterly lacking in context. The episode follows a woman fleeing from terrifying and murderous mechanical dogs that aim to blow off her head. And that, essentially, is it. We witness her driving through woods. Running through woods. Hiding in a tree. Hiding in a bathroom. But we never get any more context on her as a character or on the clearly dystopian society in which she lives, which is a bit of a bummer, given that providing this detail is one of the most interesting things that “Black Mirror” does. It’s difficult to become invested in this woman as a character when we have no idea who she is. The end of the episode is supposed to be emotionally resonant—we learn that the reason the dogs came after the woman was because she was trying to obtain teddy bears from a warehouse—but it falls completely flat because we have no idea who the bears are for. The entire episode takes place in black and white, also, which feels trite and unnecessary. I don’t really have anything good to say about this one: “Metalhead” was a poor piece of television. Of course, some of these episodes were still tremendous. The best episode of the season was “USS Callister,” which is a beautifully plotted and designed episode with a fabulous concept and execution. The episode takes place partly in the office of a video game design company, and partly inside the game of Robert Daly, one of the company’s co-founders. His game takes place in a spaceship and is modeled after Space Fleet, a fictional Star Trek-eqsue show. The big twist is that Daly’s game is inhabited by encoded versions of his co-workers, who have the memories, personalities, and DNA replicas of their human counterparts. It’s an amazing concept and an engrossing plot sequence with beautiful acting. The technology was similar to that of “Playtest” in terms of human consciousnesses inhabiting games, but that was forgivable in that this direction was so different and so visually and viscerally affecting. The only issue with this episode that I found was its impossibility: You can’t get a person’s personality or memories from their DNA. “Hang the DJ” is, perhaps, my favorite piece of television ever. The episode takes place in a self-contained dating universe, in which a system sets two people up with one another for a certain amount of time to test their compatibility and does this serially until they find “The One.” These people seem to live perpetually in this world of serial dating, unable to remember what came before. The story follows a couple as they fall in love, are forced to spend months dating other people, and then eventually come together in an attempt to escape their world. We learn, then, that the entire episode took place inside of a Tinder-like dating app, in which two people’s encoded consciousnesses are matched up to see if given these parameters they choose to run away with one another. The implausibility of the show’s concept and the weirdness of this episode in relation to other “Black Mirror” episodes (Isn’t the concept the same as “White Christmas,” with people trapped in simulations forced to undergo a series of tasks?) is forgiven for the fabulousness of the storyline. However, “Hang the DJ” suffers from the same problem as “USS Callister” does: The technology is not believable enough given the glaring implausibility, and thus the episodes do not feel like dystopian warnings but rather fun, interesting ideas to entertain and then forget about. The best dystopias point to modern societal issues by exploring future manifestations of them, and neither of these episodes—in fact, none of the episodes of this season—manage to truly get to the core of any modern societal issues. That, I think, was the major failing of this season: It was more story than commentary, more interesting than viscerally disturbing. Even in “Black Museum,” which is iconic “Black Mirror,” there is a bit of a letdown in terms of technology. Who in their right mind would have their partner’s consciousness injected into their brain? Or a device with which to feel another’s pain? And the revenge plot is satisfying, but satisfying endings are not what “Black Mirror” should have. Instead, “Black Mirror” should leave us feeling sad and alone (which I know sounds dark, but that’s the show). Yes, the episode is jarring, it’s visually stunning, but it’s not believable even as a future storyline, which is the crux of this season’s problem. 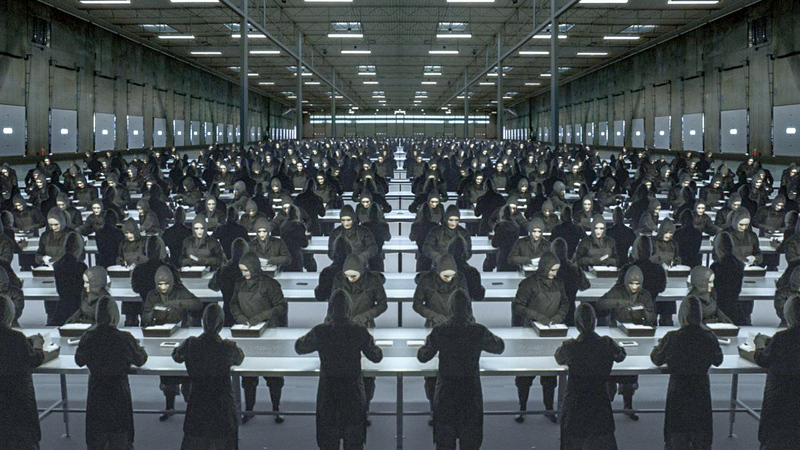 I want “Black Mirror” to terrify me of the world I live in today, not entertain me with dark but impossible futures. Although I found myself a little disappointed with this season, that’s not to say that I didn’t enjoy watching or fully dislike any of the episodes (except for “Metalhead”). Rather, I’d simply hoped for something more relevant and truly satirical: a black light on society revealing the parts that are disgusting and abhorrent, showing us grotesque reflections of ourselves. That is a black mirror. This, I’m sorry to say, wasn’t.